Oculus has been pretty quiet about when we can expect the next iteration of its Oculus Rift but, thanks to a report by UploadVR, it appears the company is getting ready to reveal the rumored ‘Rift S’ headset next week at GDC 2019. Rumors that the company may be getting ready to officially introduce an updated version of the Rift at GDC 2019 has been further fueled by recent reports circulating that there is limited availability of the current Rift headset at major online retailers like Amazon, Microsoft, and Best Buy the past few weeks, in addition to the recent price drop on the headset from $400 to $350 back in January. 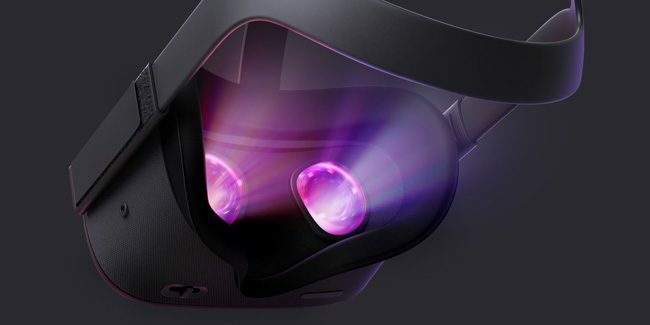 The existence of ‘Rift S’ headset first reported by TechCrunch back in October of last year, suggested that the headset would be a modest update—featuring improved resolution, newer optics, and the same inside-out ‘Insight’ tracking system as the upcoming Oculus Quest standalone headset. Last month, UploadVR uncovered references to a ‘Rift S’ in the Oculus PC software code indicating that the headset will also utilize software-based interpupillary distance (IPD) handling, unlike the current Oculus Rift, which lets users physically set the IPD in the headset. With the soon to launch Oculus Quest also expected to appear alongside the formal reveal of the ‘Rift S’ headset at next week’s game developer conference, it’s looking like 2019 is going to be a big year for the company. GDC 2019 will take place from March 18th to 22nd at the Moscone Center in San Francisco, California. Stay tuned!